New excavation of shock from “THE WORKS JAPAN TOUR” which was the last visit to Japan. 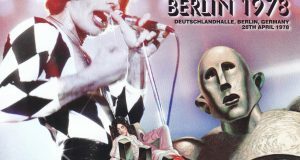 A masterpiece live album telling the show which had become an air pocket so far is the world’s first appearance! That air pocket “May 13, 1985: Aichi prefectural gymnasium” performance. It is an audience recording that recorded all the details. This week, a masterpiece symbolizing the last Japan tour will be released at once, so let’s keep it organized on a schedule as well. Over all, 5 shows. 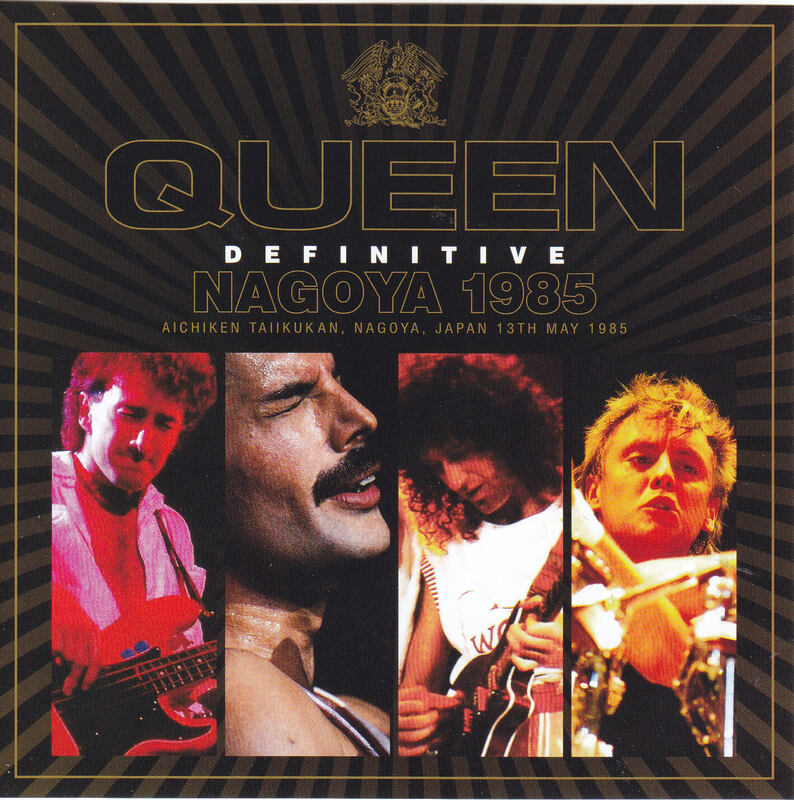 Among them, this week we will release simultaneous releases of “May 9th”, “May 13th”, “May 15th” (By the way it is not a press class, but on the first day “May 8th” You can also enjoy it with masterpiece “FINAL BUDOKAN NIGHTS 1985 (Uxbridge 066)”). Among them, the Nagoya performance is the rarest. Even though I did not have the recording itself in the past, only the things that force patience. There was not a record that was thoroughly dipped. Such a history is already over. Finally, a masterpiece recording of the press class finally was discovered in the Nagoya performance as well! That’s it. Besides, it is not only precious. Actually, it was the prestigious “Kinney” in the prestige that recorded this work. A few years ago, at our shop Kinney’s original master was reprinted in the series, but this work is a long time for mining excavation. That sound is exactly Kinney Magic. It is a spectacularly beautiful sound world whose dimensions are completely different from the recordings so far. Wonderfulness that the core is also extremely thick and the singing voice reaches straight and the great cheers spreading far away are overwhelmed. Although the inhabitants also inhale, the air feeling shines crystal-clear, and it gives spectacles to a powerful singing voice, but it does not hide any details at all. Of course, not only the vocal but also the piano is a brief touch until a touch, the guitar and the bass are brilliant from the rising of one sound to the moment of silencing. If you have experienced the previous Kinney excavation series you think that you will come with the pin, you can enjoy the phantom Nagoya performance in that beauty world! Moreover, the show is also amazing at this Nagoya performance. Although the Tokyo performance is also known as a masterpiece, Nagoya is not as good as that. Freddie will fly away with great condition than anything superb. Is not it a meaningless high tension that “Tie Your Mother Down” ends and “Hallow, Nagoya! Combineer, Ikagadesuka! Is Everybody happy? Is Everybody Under Control? (Everyone is happy? Everyone is being controlled? As it is singing “Under Pressure” as it is, let’s hear the tremendous growth with “Somebody To Love”. That momentum will never fade away and promised hangouts after “It’s A Hard Life” will grow steadily. Nori of the audience who responds to it is also wonderful. It was recording that peeped at QUEEN which is far beyond the spectacular frenzy of the audience so far, but it can feel directly the four people who are burning at the end. The symbolic thing is “Saturday Night’s Alright For Fighting” in the latter half of the show. It gets stronger than usual and it blows over over 4 minutes. Everything is a shocking kinney master, but unfortunately there was only one big drawback. That is incomplete recording. 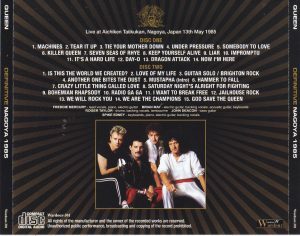 Recording will end at the moment that “Bohemian Rhapsody” becomes highlight in the second half of the show. This was caused by being recorded with a tape for 90 minutes. Of course, QUEEN’s show can not end in 90 minutes, a mistake that can not be thought of from ordinary Kinney. I may have mistaken the tape I happen to take by chance … …. This is also speculation, but it may have been unpublished so far because it was incomplete. The sound of this story is so wonderful that it seems only to be true. 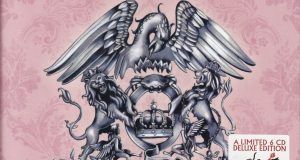 This work complements another master after “Radio Ga Ga” which was unrecorded. I finished it in a perfect form that can enjoy the full show seamlessly. Of course, the supplementary part will fall by 2 ranks and 3 ranks, but this part was also refined with full power and remastered, finishing it to the limit to be easy to listen. 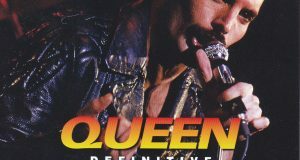 You can enjoy the unknown large-scale performance in the whole view, including Freddie (“See you soon!” Is satisfactory) satisfyingly expressing you for a long time. Last Nagoya performance that only fans who have exceeded the sound quality barriers have enjoyed. It is a new excavation of miracles that you can taste with Kinney’s super neat sound. I do not need patience any longer. A live album that you can immerse yourself in unprecedented big performances with a loud noise that seems to be enthusiastic only by listening. Remarkable stock which can not get out even in release · rush of super masterpiece matching. Please, please experience and experience! ★ Completely first appearance · Ultra high quality sound source.